A 5 page essay is not that different from other short essay assigned at a high-school level. However, there are some differences. Most essays in school are focused on a given issue, thus not putting limitations on the length of your work. While writing a 5 page paper, you should be aware that the length is strictly limited. You may have plenty of ideas in your head, you perhaps want to show your comprehensive knowledge or, which happens oftentimes, you want to show various points of view regarding a certain problem, etc. Well, here you cannot allow yourself to write too much: the essay should not exceed five pages, and that’s it! 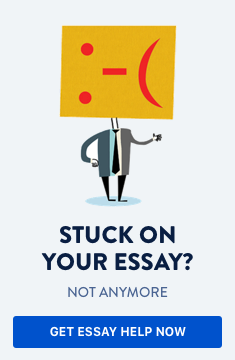 Not every high-school student is familiar with the problem of how to write a 5 page essay. In most cases students believe that their writing skills are not exceptional, so there is no need to write at all. Thus, they prefer asking a classmate or a friend, or asking for help on the forums or from specialized essay writing companies. This negative attitude and the lack of self-confidence may make you dependent on other people, which is not very desirable. Hence, the tips following below will help you organize your work and even improve your writing skills. Let’s now turn to them. It is always good to train your mind in discussions and debates. The skill to express your personal opinion in a logical way is a must in this rational world. There are so many opinions around that a person, deprived of skills to discern the logical from the illogical, may be lost. Do not be afraid to ask. People who do not ask probably do not understand their task. When your teacher informs you about his/her assessment of the five page essay, you can ask them about your flaws, mistakes or the positive sides of your writing. Do not choose a topic which is very complicated or will require a lot of writing. Remember: the length of your paper is restricted to five pages. Think carefully what it could be. Your opinion may be based upon the information you have on the topic. Be careful: your opinion is not your thesis. You can find it in your school library or in the local library. There are also online databases which may prove useful for you. While you are reading, make notes of the main ideas and theories which you encounter. Write down some quotations. The thesis is actually an informed opinion, which lacks subjective dimensions and accents. It should not exceed five lines, otherwise the reader will be distracted. You can also use italics in order to separate it from the rest of the text. The arguments should be carefully elaborated. You must not use unreliable sources. The arguments also need to be relevant to the topic, and to show clearly the veracity of the thesis formulated in the paper. Advice: you can find the appropriate arguments in various data or statistics. No one could repudiate what is written in statistics. On the other hand, this data should be interpreted, so this is your task. The bibliography should include all the titles used by you, whether you have referred to them in your 5 page essay or not. All the time you must remember that you cannot exceed five pages. Thus, if you exceed this length, you simply need to revise the paper in order to reduce it.